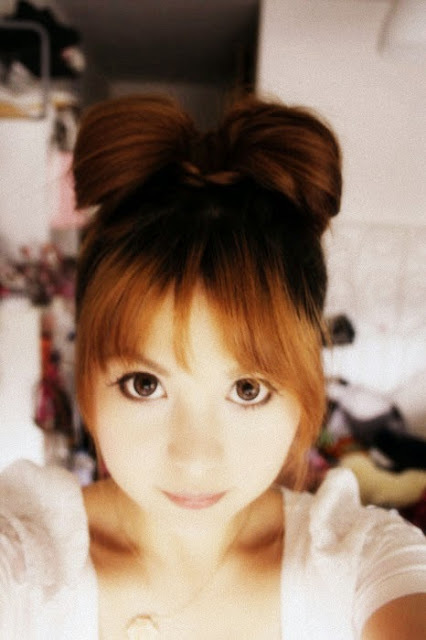 yesterday I was a bit bored with my plain hair and decided to do a bow. And I succeed at my first try. It didn't even take long too. I think I will wear my hair in this fashion more often, especially for university. Work is a total different matter. 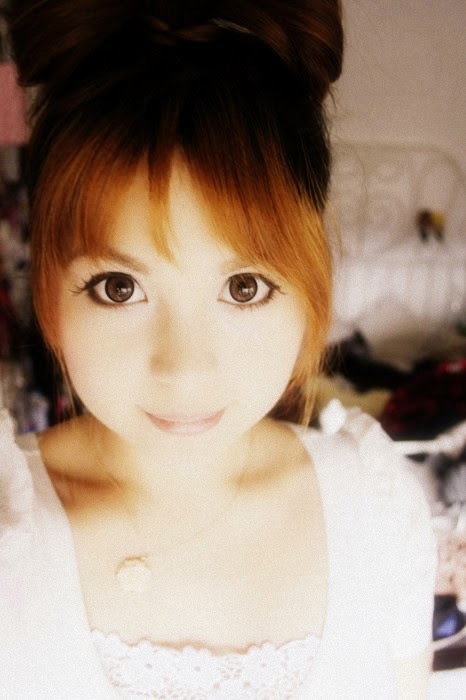 I missed the Gyaru meet up on this day due to another obligation (picking up Simon from the train :D) and therefore I was in a "gyaru" mood. Even though it "only" turned out to be a bit hime kaji. And here the full outfit. Everything is offbrand except the bolero. 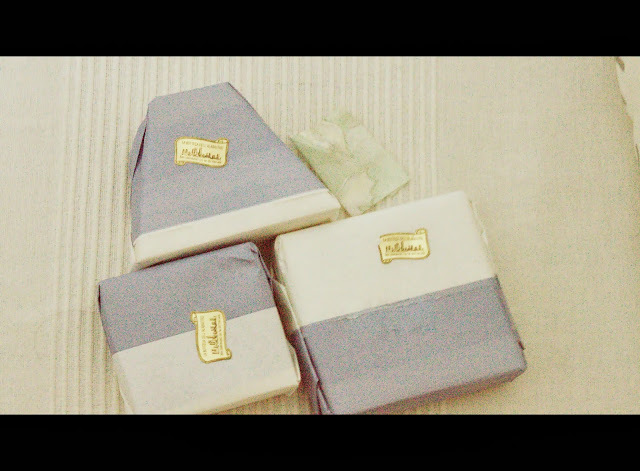 It's from Liz lisa! 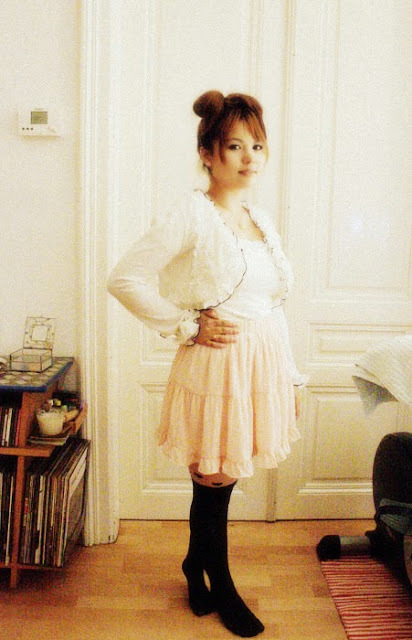 I got those heart stockings from ebay and I love them! Stockings disguised as overknees. Brilliant because they never roll down! Simon also brought me preseeeents! I love jewelry as much as I love clothes and I got four new items in one day! 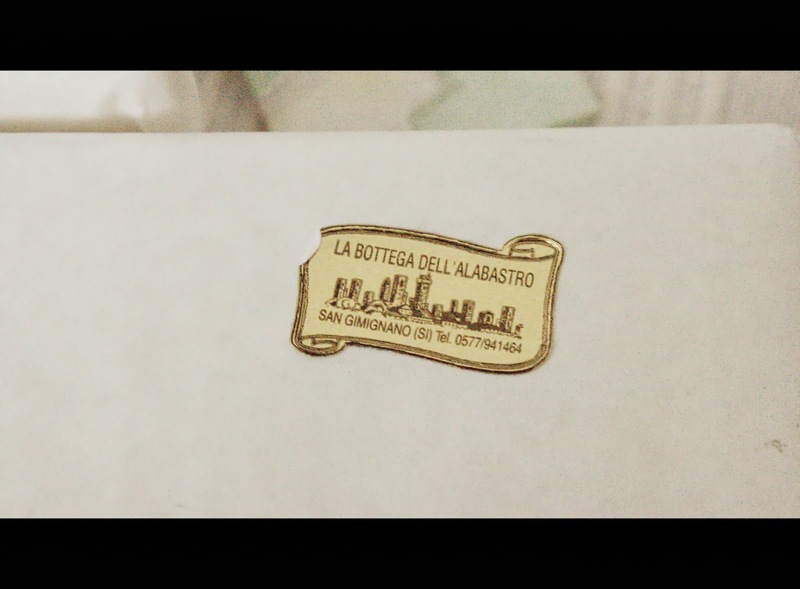 All four presents are from Italy! 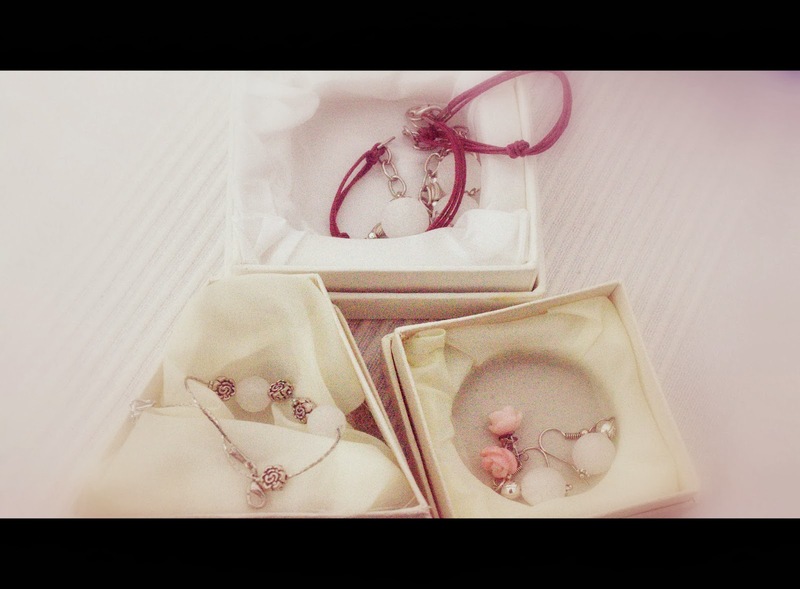 One bracelet, a necklace, and two earrings, a simple round alabaster stone and one in pink shaped like a rose. All items are made out of silver and alabaster. I am a very happy ducky :3! Only the bracelet is a few cm too big for my tiny wrists so I will have to go to the goldsmith. n'awww <3 <3 thank you! !